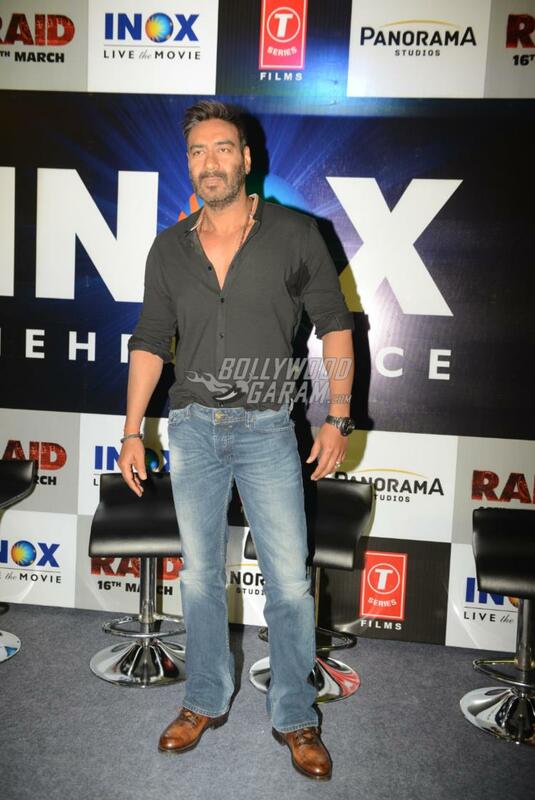 Ajay Devgn and Ileana D’Cruz are promoting their upcoming film Raid at different places and platforms. The actors landed in Delhi and hosted a press conference for promotions of the upcoming flick on March 9, 2018. Ajay and Ileana looked great in black outfits and were all smiles as they interacted with the audience. Ileana looked trendy in a black outfit with straight hair and minimum outfit. The upcoming crime drama flick, which is directed by Raj Kumar Gupta also stars Saanand Verma and Saurabh Shukla. 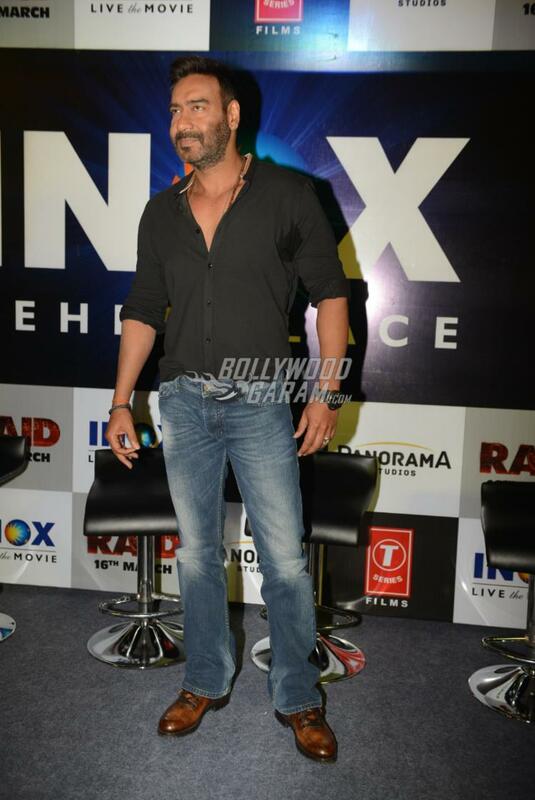 Ajay and Ileana visited a popular theatre in Delhi and the lead actor looked dapper in a black shirt and blue denims. Once again Ajay will be seen playing the role of a cop and Ileana will be seen playing his wife. This is the second film Ileana and Ajay will be seen working together after Baadshaho. Raid is produced by Bhushan Kumar, Abhishek Pathak, Kumar Mangat Pathak and Krishan Kumar and is due to be released in theatres on March 16, 2018. Previous articleOctober official trailer out now!